Premium roll towels are the right towels for any cleaning challenge. 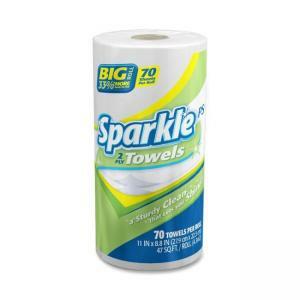 Sparkle PS towels bring the premium-quality strength, absorbency, appearance and brand recognition. Each roll of two-ply towels is perforated for easy tear-off without devices or cutters. Long-lasting, 70-sheet rolls save time and avoid frequent refilling.